If you want to send birthday cake to Japan, you first need to look for a right birthday cake shop online in Japan. We at Florajapan.com are considered among the top birthday cake delivery services in Japan. We are always ready to help our valuable clients in finding the best birthday cakes online. So, you can easily shop for the desired types of birthday cakes even from the comfort of your home. Apart from Japan. 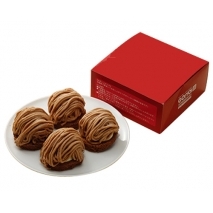 We also deliver cakes throughout specific cities of Japan. For instance, if you want to send birthday cakes to Tokyo, you need to choose our online birthday cake delivery in Tokyo. Now, it has become quite easy to get a birthday cake delivered at your desired location with us. We at Florajapan.Com do not only offer you a huge variety of delectable birthday cakes to make your celebrations special and grander but also provide you with an impeccable delivery. With the aid of our online birthday cake delivery, now you can send birthday cakes online to your loved ones in Japan from anywhere. Our express delivery service ensures to deliver the birthday cake to your doorstep just within 48 hours for your order placement.